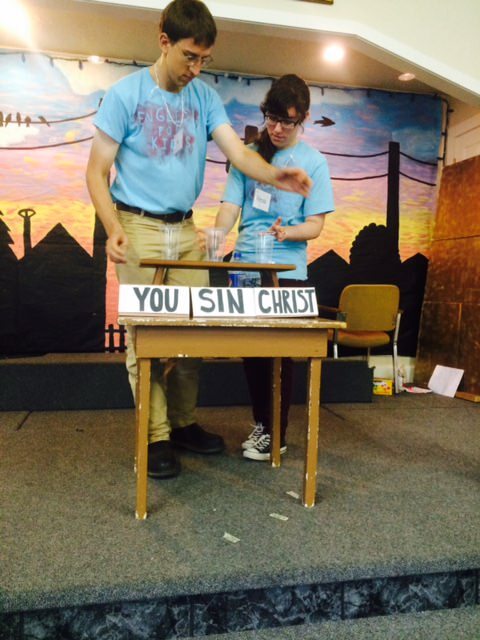 As she has for many years now, Mrs. Olivia Durham of Covenant OPC in Barre, Vermont, led the short-term missions team from the Presbytery of New York and New England that traveled to Quebec to present the "English for Kids Bible Camp" held in St-Georges de Beauce, June 29-July 4, 2015. 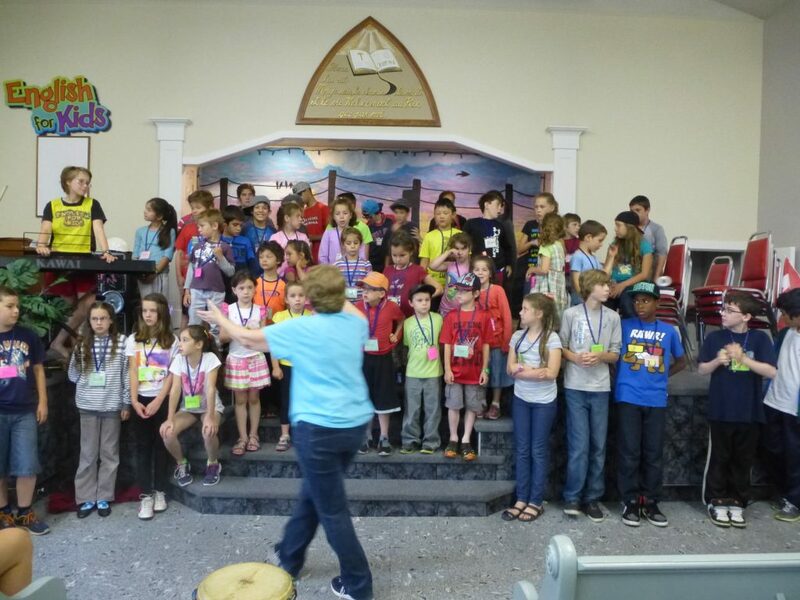 This camp is part of the annual outreach to French-speaking local children sponsored by St-Marc's Reformed Church in Quebec City, of which OP Missionary Rev. Ben Westerveld is the Pastor. Click here for a report on the Quebec City camps. The local camp director sent out colorful daily reports (JOUR 1 DE NOTRE CAMP) - in French, bien sûr! Camp attendance has more than doubled from 22 in 2009 to 50 in 2015! Thanks for your prayers for the camp in Quebec last week. All team members are home and I'm thankful to report that our young man who was in the hospital is home and mending nicely. Thanks to the Lord for preserving us all, every day! 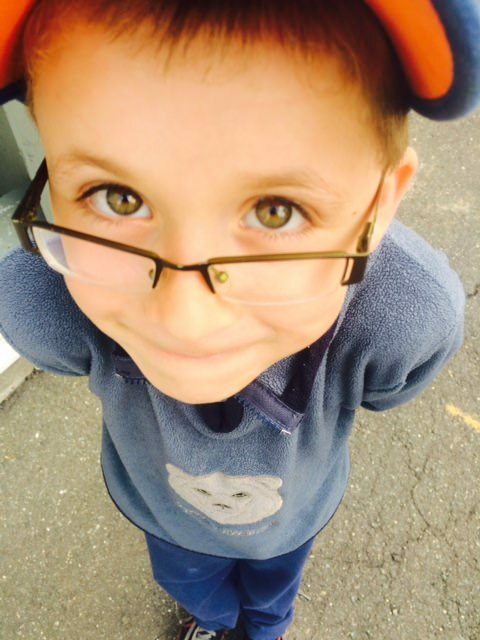 I am attaching the last of the daily newsletters (JOUR 5 DE NOTRE CAMP) sent out by the French program director, Anne-Marie, because it has some nice pictures of our last day (including the first one of Ethan in the hospital, smiling!). In particular I was very thankful for a good arrangement for our last day, which is often very hectic. The staff worked very well and the long day of keeping the children through till supper was passed cheerfully, with an after noon at a large local park where we could do activities and crafts, swim, hike, and return home just in time for singing, supper, and the parent program. The parents were very thankful and enthusiastic about the program. Some even asked about if it could be extended to two weeks! However, I would ask you to pray that these families, instead of hungering for the fun and learning of camp, would hunger for the Spirit that moves the hosts of the program to invite the little children in. In St Georges, the English camp is a wonderful week of fellowship and service for the American and French teams, and growth for the teens learning to lead and work together. The church puts a strong effort into all the details of the building and hosting of the team and the children, and prayer for all involved. The work of the church, however, is to feed the souls of the sheep. May God use the prayer and hospitality to build his kingdom along with all other efforts of evangelism, shepherding and teaching that occur in that small and faithful church throughout the year.